Jasmijn from Baja Bikes booked us on a tour with the fabulous Rik Van Den Bosch who works for the Budget Bikes shop in Barcelona. Rik was a friendly and charismatic cycling tour guide, who doubles up as a musician by night! First of all, it was bike fitting in the shop. 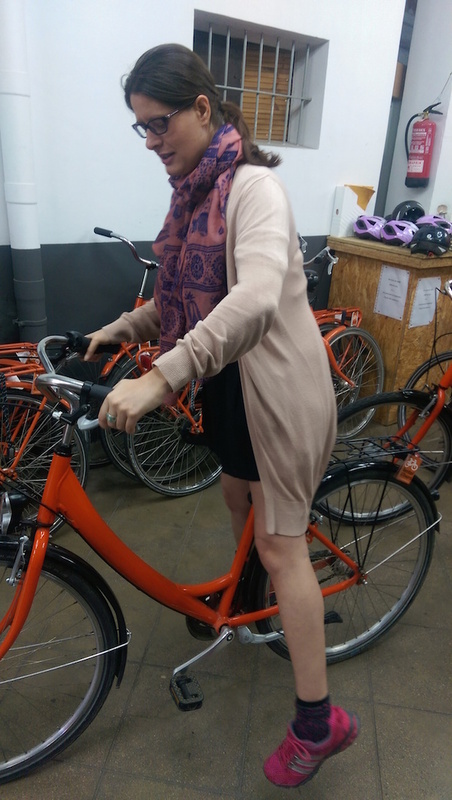 There were a whole range of orange Dutch bikes for all different sizes! I was so pleased that they fitted me properly, because I got a knee injury once that was exacerbated by an ill-fitting bike. At the Budget Bikes shop, they measured me properly and got the seat at the right height. I hadn’t ridden for a while, but it was extremely comfortable and I got used to it very quickly! At the beginning, it was really great how Rik talked to the group to find out a little bit about where we had already been and what we wanted to see. There were just 8 of us altogether, so a good number in the group for a cycling tour. We cycled through some narrow and busy streets at the start of the trip, but once we got out of this section. the roads and cycle paths were very flat and safe. 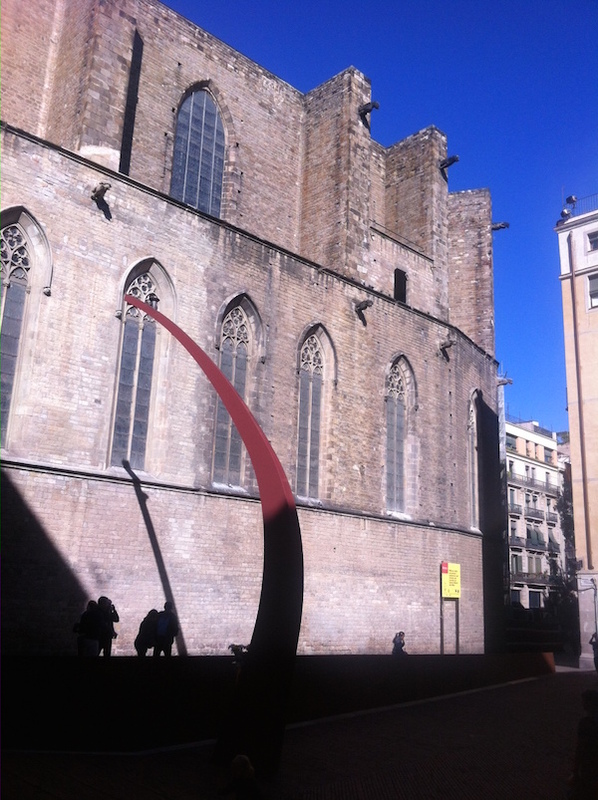 Our first stop was the Santa Maria del Mar Church (NOT to be confused with La Sagrada Familia). Rik gave us some information about the Memorial Monument and the Church itself, and then let us have some time to look inside. The flame has been lit in remembrance of the fallen Catalans of war, including the War of the Spanish Succession, as well as the World Wars. 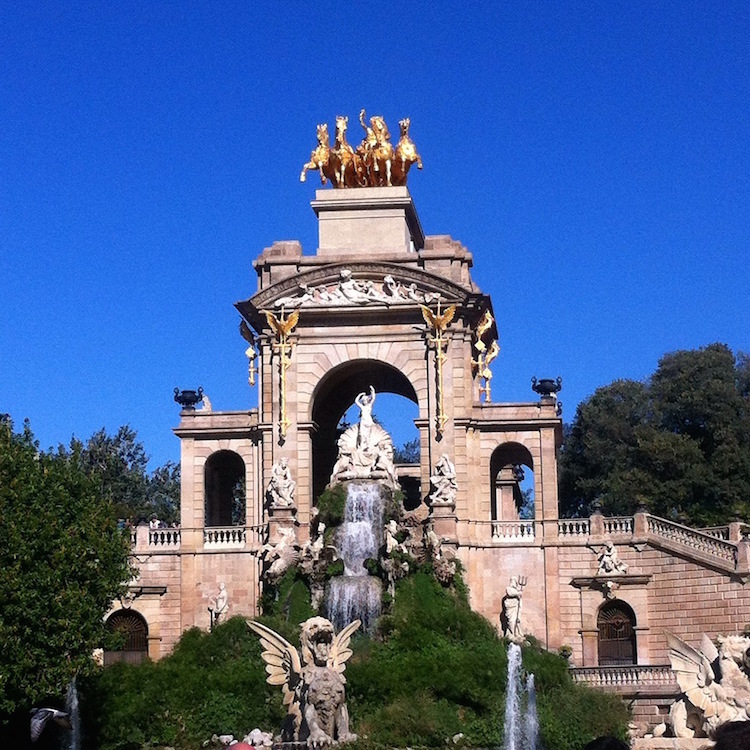 The weather was amazing and we got some fantastic pictures of the Cascada fountain. Some of the gargoyles were designed by Gaudi. Here’s me on my bike at the Cascada fountain! This was constructed for the 1992 Olympic games. We also got the chance to cycle through Barceloneta, the small fishing neighbourhood with narrow streets. It is often characterised by the laundry hanging between flats. Once a run down and poorer area, Barceloneta is now quite artsy and up-and-coming. 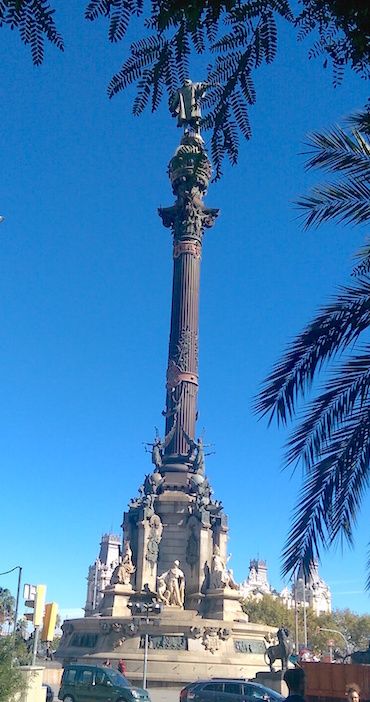 At the end of La Rambla, Rik stopped us to explain about the Christopher Columbus statue, which doesn’t actually point towards America like we thought! 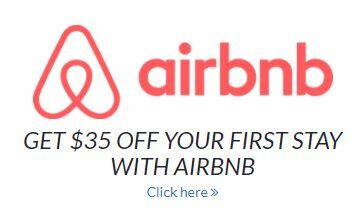 Some people also thought that it was pointing to Genoa, Columbus’s home town. But, it is actually pointing South-East somewhere near Constantine (Algeria), so it is more likely that it was pointing out to sea to suggest his voyages and further expansion. On La Rambla itself, we found the ‘Botero Cat’ – a famous sculpture by a Colombian artist. 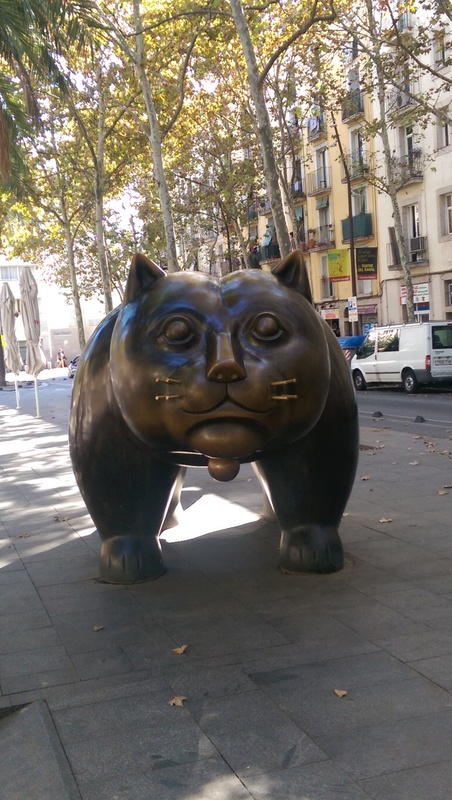 Botero Cat had moved to different locations around the city before settling on La Rambla. We also found out from, Rik that his whiskers had been shortened as people kept hanging off them! 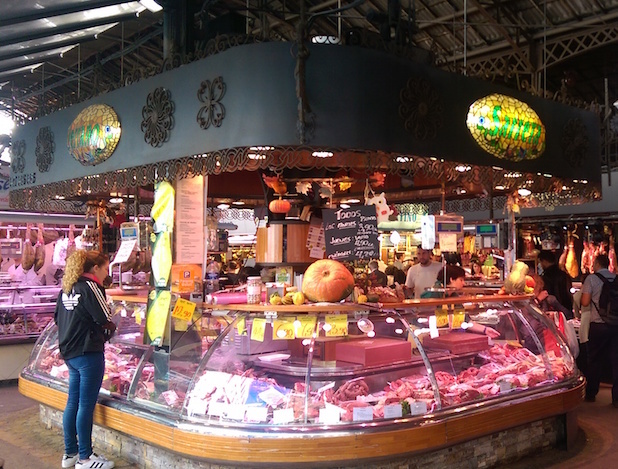 I always love a good market, and the food market (Mercado de La Boqueria) certainly did not disappoint. 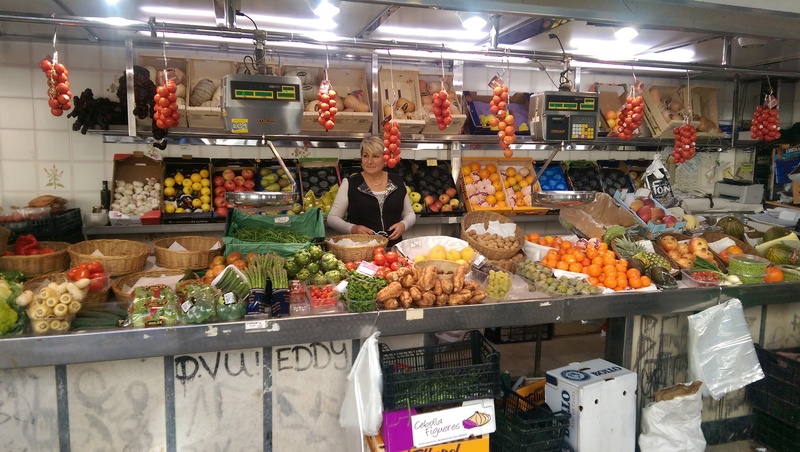 It was vibrant with the bright colours of fruit and vegetables, and the smell of Paella seeping from the open air restaurants. As we continued our leisurely ride, we came across something that I would have never found without Rik. 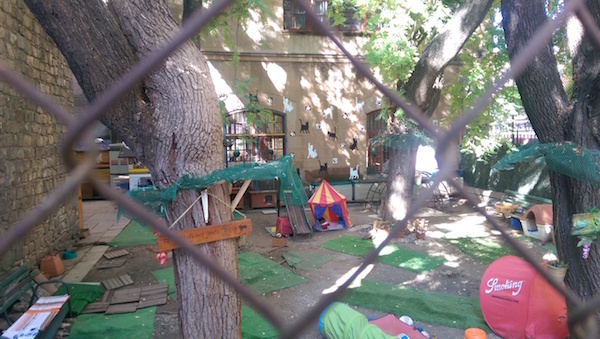 It was an amazing garden for the rescue cats of Barcelona! Any cat lover visiting Barcelona must find this place – so cute! ‘Where’s the dog garden?’ I was about to ask myself as we continued our journey. Then, this drove past….! 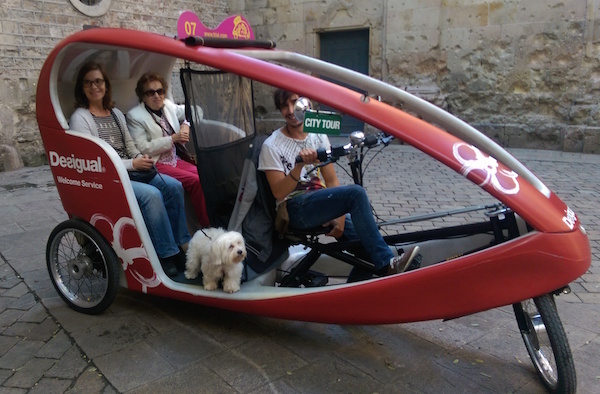 If you want to read more about the dogs of Barcelona, click here! Before our cycling journey ended, we were privileged to see two hidden away places of historical significance and memorial. We visited the Library of Catalonia on Carrer del Hospital, which contains a sorrowful story. In this beautiful iconic square, you can look up to the balcony where Gaudi’s life came to an end. Gaudi became somewhat a social recluse towards the end of his life, living in the crypt of La Sagrada Familia and devoting every penny and waking moment to the development of the Basilica. In 1926, Gaudi got hit by a tram, and because no-one recognised him, he was taken to the poor paupers hospital, instead of the wealthy hospital where he should have been taken. We then entered Plaza Sant Felip Neri – such a beautiful square, but with a tragic history. 42 people were killed here (20 were children) in 1938, when a bomb (aiming for Plaza Sant Jaume) missed and hit the square during the school recess. Rescuers came in to help, and another bomb hit the square taking the lives of further casualties. 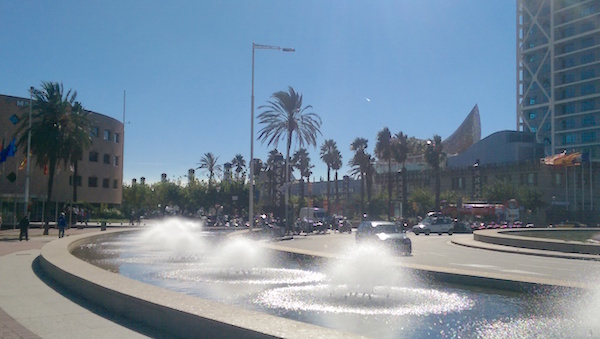 This romantic square featured in Anna Christina Barcelona, and is a popular film set and place to hang out. 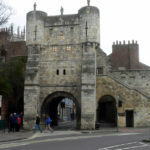 Yet it is overshadowed by such a harrowing past. 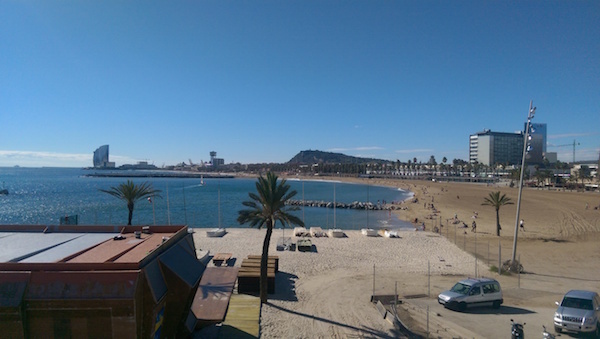 Cycling Tour Barcelona – Would I do it again? I would absolutely do another cycling tour (Barcelona). It was a very gentle and easy ride. Rik rode carefully and safely. One girl in our group got an electric bike and hardly pedalled at all! Although an electric bike is an option, you really don’t need one. I suffer from tendonitis and asthma and still managed the ride with ease, and so I highly encourage you to do this even if you are not a keen cyclist. On cycling tour in Barcelona – you would be surprised at how much ground you can cover. Hidden gems will be revealed. If you would like to book, you can visit www.budgetbikes.eu and www.bajabikes.eu. 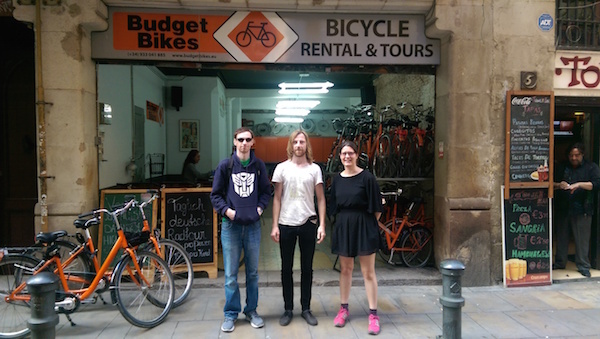 Budget Bikes are based in Barcelona, and Baja Bikes book cycling tours throughout Europe. 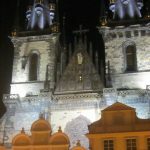 I can’t wait to try another cycling tour in a different city. 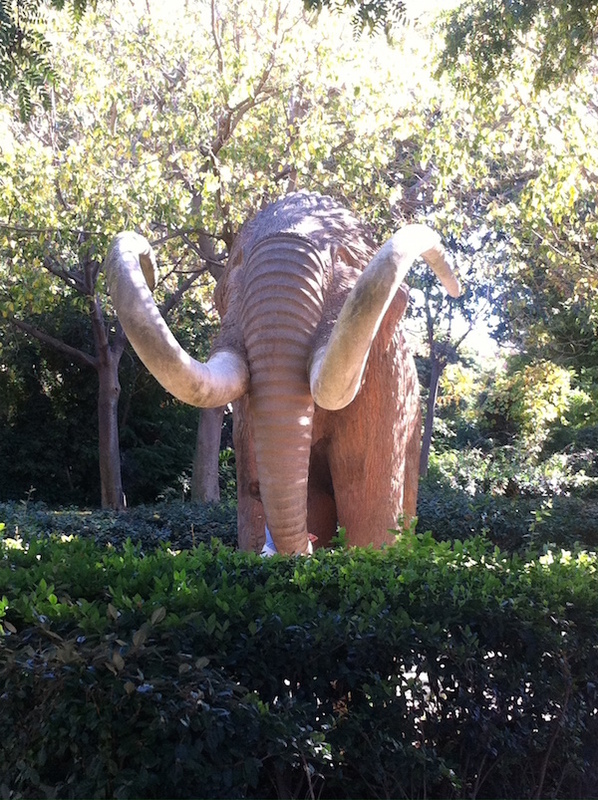 You might also like to read about Park Guell or Barcelona – Top 5 Travel Tips. 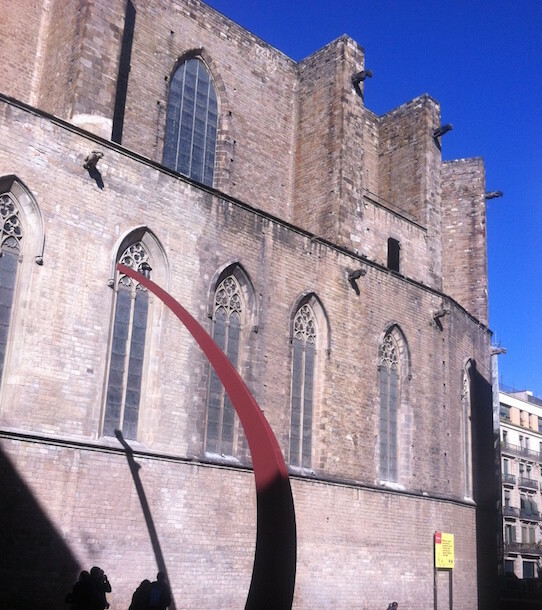 Also, check out my friend Nicola’s blog on how to explore Barcelona’s districts. *Many thanks to our sponsor Baja Bikes who organised this day trip. We received a fabulous cycling tour of Barcelona with Budget Bikes, and this helps us to get the information to you for free!